Home / Discover the new Nokia 8 / Nokia 8 burns / Nokia 8 scratches / Nokia 8 Survives Torture Test / Nokia 8 Tortured with Extreme Test / tech / Nokia 8 Tortured with Extreme Test, How Strong? Nokia 8 Tortured with Extreme Test, How Strong? What makes Nokia brand so legendary? Most of you would agree that what makes Nokia a very big name in its time is a solid construction on Nokia phones. Now the dominance of Nokia in the mobile market is not as big as before, despite being revived by the global HMD. But does Nokia's return to compete in the mobile market still retain the same features as its image in the past? It seems that the global HMD still maintains the brand image of Nokia, where you can see evidence of the resilience of Nokia 6 smartphones that survived extreme tests. But what about the latest flagship smartphone Nokia 8? Is the power of this high-end smartphone the same as Nokia 6? Concerning the endurance test of smartphones, some of you must be familiar with Jerry Rig Everything's YouTube channel that tests full smartphone torture, including scratch, burn, and bend test tests that determine the robustness of a smartphone device. The Nokia 8 screen is lined with Gorilla Glass 5 glass, where this type of glass starts getting scratches on the 6th level scratches and so on. As for the fire test, the screen begins to blacken when it starts to catch fire, but because it's LCD it will return as before when the fire is extinguished. For the body used Nokia 8 is aluminum, where the blade or razor blade will easily scratch the surface. While for the rear camera module has been coated with a glass strong enough to withstand the scratch of the blade. On the top and bottom side of Nokia 8 is made of plastic material, which is of course easy to slice. 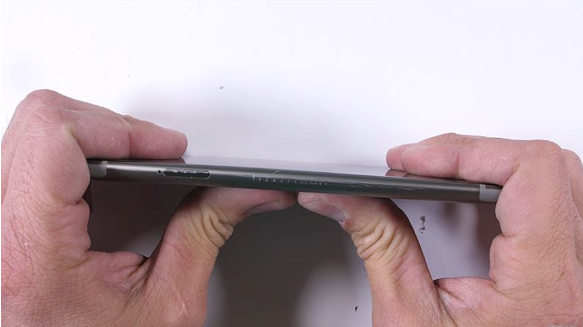 Well, for the most important part of the test this time is the power of Nokia 8 in test bend or bend test. Nokia 8 uses 6000 series aluminum material which in fact is very strong, which makes this smartphone survived the bend test. So in conclusion, this latest Nokia Android smartphone is still inherited the characteristics of the famous Nokia mobile phone tough.